Back in February, I wrote a blog post about Cannabis attitudes changing. The impotus for the post was based around the exposure Cannabis was given on national TV at the time. 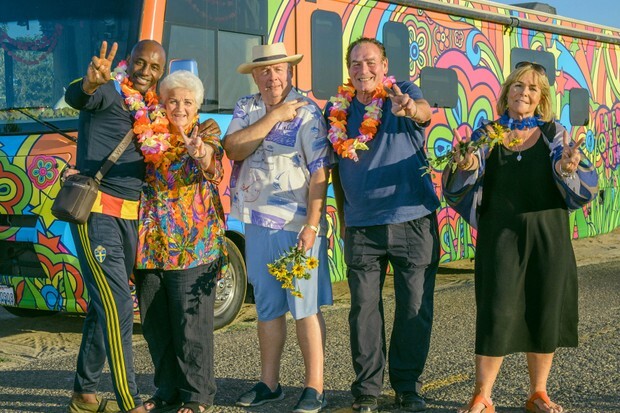 There was a hemp product in Dragon’s Den, a programme on ITV called ‘Gone to Pot’, which featured celebs on a pot tour in America, then the ever popular and well watched Coronation Street ran a medical cannabis storyline. All of these pointed to the a new relaxed attitude and would promote more of an acceptance within the general public. You can read the post by on The Vault Blog. 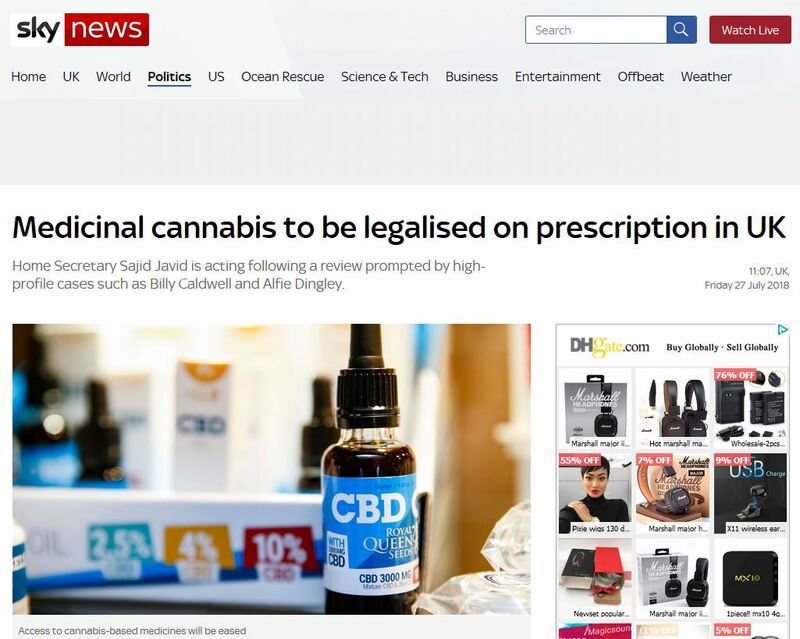 Since then, we’ve had various items in the mainstream news, partcularly around serious stories where young children have benefited from the use of medical cannabis products. Then we had the news that it will become legal in the UK by the end of 2018! Great news all round. We even ran a poll on this and you can find that via this blog post on The Vault Cannabis Seeds website. The latest news is a little less serious, but nonetheless very interesting to us. 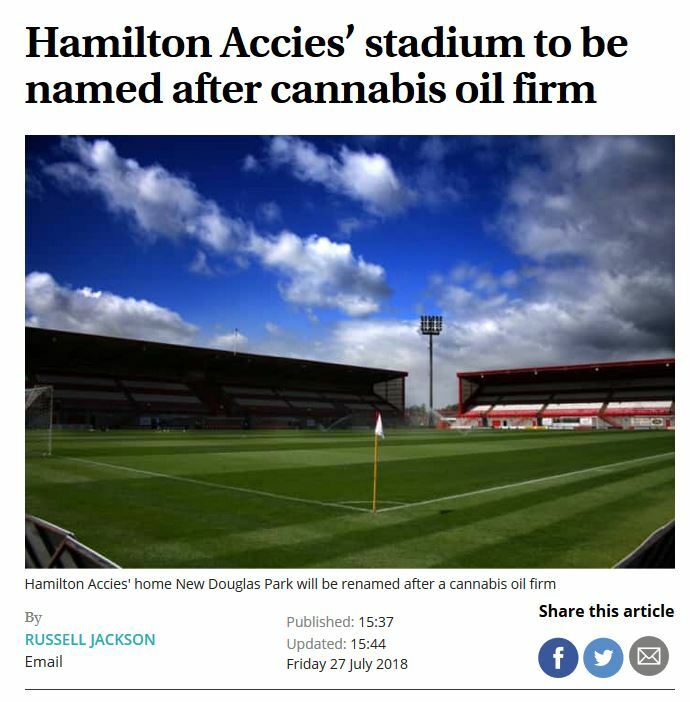 As a business based in Scotland and staff who are big Football fans, we were surprised and delighted to see Scottish Premiership team, Hamiltion Academicals, earn a sponsorship with a CBD company. Their sponsorship means that they will re-name their stadium the CBD Hope Stadium. This is great news. Again, another indication that things are going in the right direction. That said, the Scottish sense of humour came to the fore, and names like ‘The Hamilton Accies Whackie Baccie Stadium’ came out and meme’s around ‘Stay off The Grass’, came out on Social Media. Scottish wit is alive and well, and we love it. At the Vault, we sell Cannabis Seeds as souvenirs and a large part of our sales are for medical cannabis seeds. We’d love to be able to sponsor a sporting team, but as it stands, Cannabis in itself is still illegal on this Island. The US are making strides here as are Canada, so we’d be open to sponsoring an NFL or NHL team (we kid). Back on our shores, we will be following Hamilton Accies with a little more interest this coming season. To check out The Vault’s range of medical products click here. As part of this series, we are always keen to get your thoughts. Please comment below on whether you think attitudes to Cannabis are changing in the wider public and do you think that the laws will change in the next few years, espcially on the recreational front. Remember: It’s illegal to germinate cannabis seeds in many countries. It is our duty to inform you of this important fact and to urge you to obey all of your local laws. The Vault only ever sells or sends out seeds, or seed voucher prizes for souvenir, collection or novelty purposes. Activism, Community, Competitions / Giveaways, GrassCity Promotions, Other Seeds Information, Special Offers, Strain Spotlight, The Vault Cannabis Seeds cannabis, cannabisattitudes, cbd, football, marijuana. permalink.